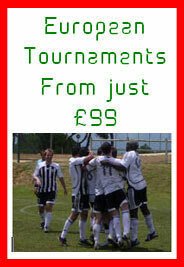 Now you've found details of our Krakow 5-a-side football tournaments the next step is - how do I get there? Well, the main option is to fly into Krakow Airport but there is also a secondary option to fly into Katowice which may well be cheaper. Katowice is a little bit out of town from Krakow but still very much manageable especially if you can save some money to spend on beer once you arrive! If you've travelled to Barcelona before and used Girona and/or Reus airports then it is a very similar situation. The transfer from Krakow airport to the centre of Krakow is 20-30mins and from Katowice Airport to Krakow is approx 1h15 to 1hr 30mins. Check-out the various options below from the UK/Ireland. + Over 20 routes from mainland Europe.